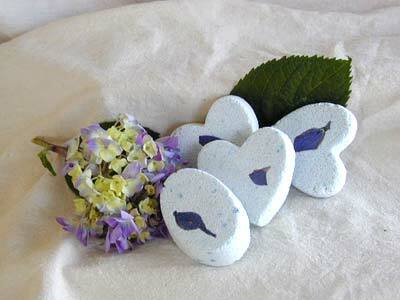 A fun and fizzing accompaniment that will take your bath to a new level of enjoyment! 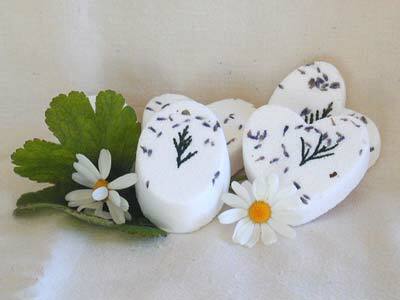 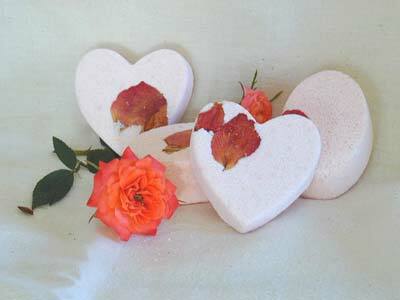 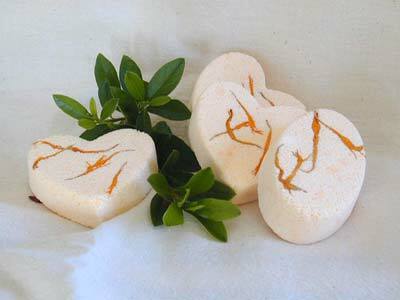 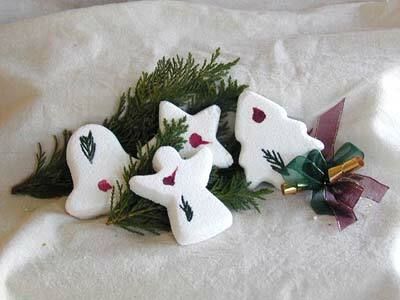 Paula's Soaps Bath Bombes are made with all natural ingredients and contain no chemicals to irritate delicate skin. 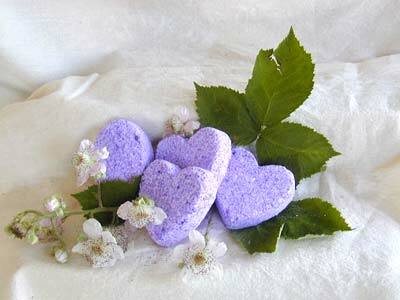 They are pH balanced to preserve the all important acid mantle of your skin. 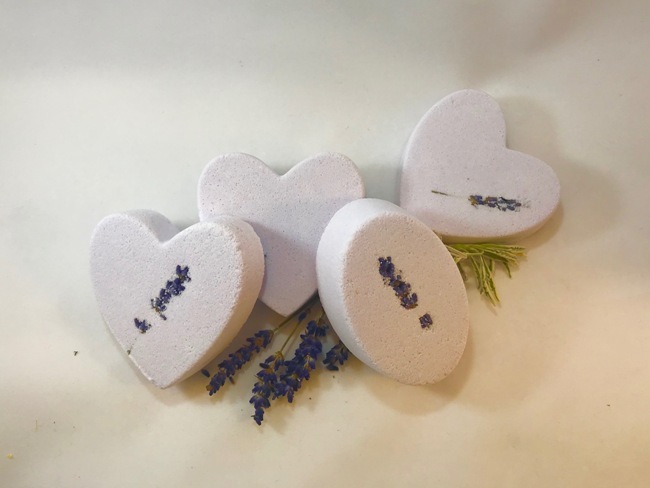 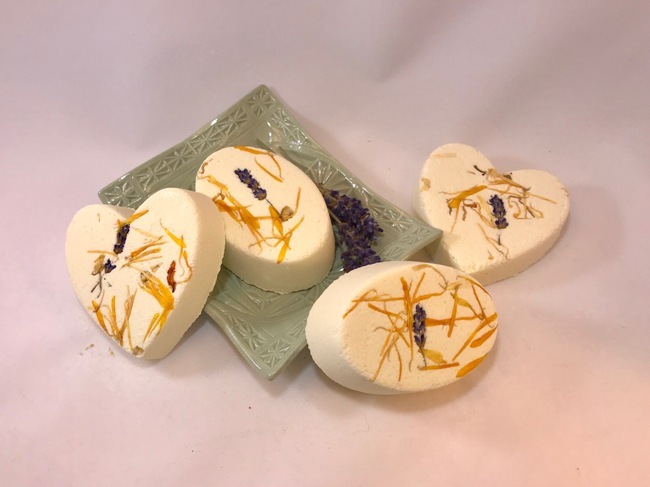 Pamper yourself with these skin nourishing treats enriched with healing Vitamin E. A few flower petals will float free to join you in the tub as the tablet starts to fizz, maybe hold it in your hand and enjoy the tickle. 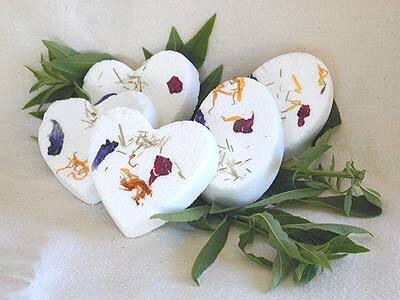 Wonderful scents suited to your mood will envelop you in sensory bliss.